Really excited to be appointed APAMSA Community Service Chair at PCOM! For those who don't know, I moved to Philly to do my Masters in Biomedical Science at Philadelphia College of Osteopathic Medicine (Philly). I'm currently doing prostate cancer research and very fortunate to have such a wonderful research advisor and awesome lab colleagues. I'm President of Biomedical Sciences Class of 2016, on Student Government Association Executive Board, and incredibly involved in our surrounding community. One of the organizations I'm in, Asian Pacific American Medical Student Association (APAMSA) holds impactful events every year and is unique in that all of these events directly interact with the real patient population, so APAMSA members have opportunities to practice all of the medical skills they've learned in real life. I love APAMSA, and I was passionate about spreading awareness for our events as well as suggesting innovative, new programs that would enhance our members' medical education beyond their time at PCOM. As a result of my passion and suggestions for our chapter organization this year, the Executive Board appointed me Community Service Chair (and both of our advisors approved!) so that I could join them on the Board and implement these projects! Needless to say...I'm extremely grateful and REALLY ECSTATIC to have such a direct role in making a positive difference! I'm thankful to the Board + our Advisors for letting me a part of it all, because they could have said no haha. I built our website the other day so that we can openly share about what we're doing this year and reach more people to spread that knowledge. 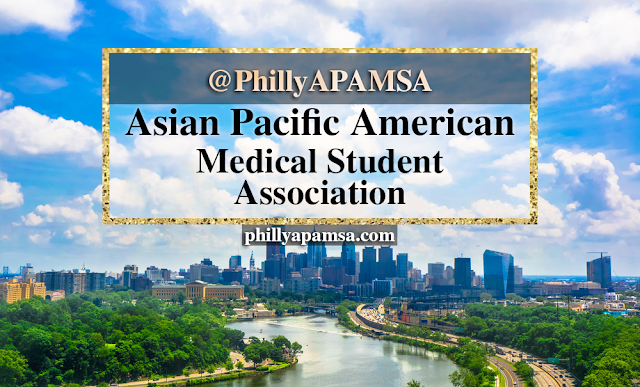 I hope the other APAMSA Chapters in Philadelphia will join us @phillyapamsa! APAMSA has a strong history of working together, and Philly really is a medical haven. Together, we spread understanding for the very large and diverse Asian-American patient population, especially in Philly!